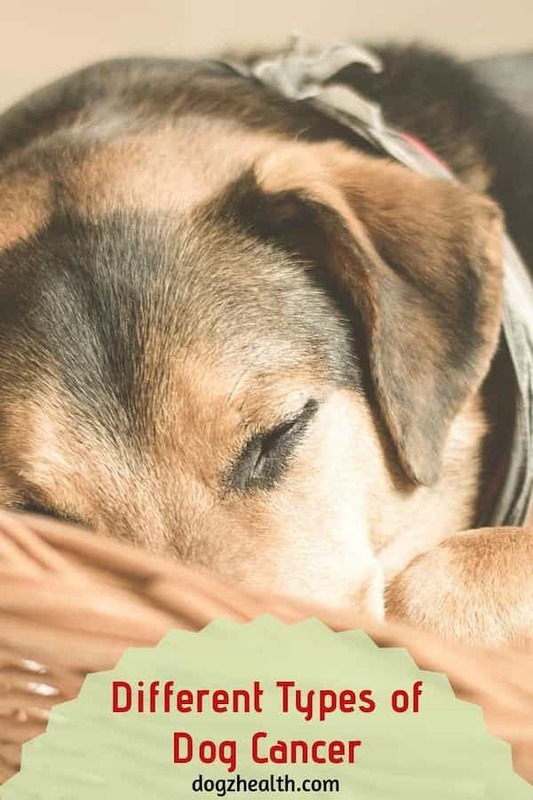 This post looks at different types of canine cancer, causes of cancer in dogs, the most common types of dog cancer, some less common types of cancer in dogs, as well as some dog breeds that are predisposed to various types of cancer. Cancer, to put it very simply, starts when there is DNA mutation causing some genes in a cell to be damaged, changed, or defective. If these cells with damaged genes cannot be destroyed by the body’s immune system, they will grow uncontrollably and cancer will then be established in the body. Most healthy normal cells are genetically programmed to live only for a limited period of time, after which they die (a process called apoptosis). In cancer cells, the gene that causes cell death is inactivated, enabling cancer cells to live and reproduce out of control. Unlike most other diseases which tend to stay localized in one site of the body where they started, cancer can spread and take over control of other body sites. They do so in two ways. The first way is by sending cancerous cells into healthy neighboring areas. This is called “local invasion“. The second way is by cancerous cells getting into the bloodstream or the lymphatic system and flowing around the body. Some such cells will attach to new areas in the body and start forming another tumor. When this happens, it is said that “metastasis” has occurred, or that the cancer has “metastasized”. It is extremely difficult, if not impossible, for veterinarians to pinpoint the exact cause for any types of dog cancer. 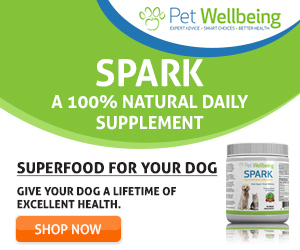 Many veterinarians believe that most types of cancer in dogs are brought on by chronic inflammation and free radicals. When an area in the dog’s body is inflamed, lots of free radicals are produced which can damage the DNA of the cells in the inflamed area. Prolonged or chronic inflammation can therefore set the stage for DNA mutation which, as mentioned above, is the beginning of cancer. Mast cell tumors arise from tissue mast cells. Although mast cell tumors can occur in different areas in the body, they most commonly occur on the skin. It is the most common form of skin cancer, accounting for 16 to 21% of all skin tumors in dogs. Lymphosarcoma is cancer arising from the lymphocytes in the lymphatic system. Canine lymphosarcoma is a common cancer, making up approximately 7 to 25% of all canine cancers. It most commonly affects the lymph nodes although it can also affect other organs (e.g. the liver and spleen). Melanoma is a form of malignant skin tumor that arises from melanocytes, the cells in the skin that produce dark pigment. Most cases of oral cancer in dogs are in the form of melanoma. Canine hemangiosarcoma is a soft tissue tumor that arises out of blood vessels. It commonly occurs in the spleen, the liver, and the skin. Canine brain tumors can be primary or metastatic. Brain tumors occur very commonly in older dogs, regardless of gender or breed. In fact, it has been found that 95% of older dogs over the age of 7 suffer from some form of brain tumors. Osteosarcoma is the most common form of bone cancer in dogs. It is very aggressive, grows fast causing pain and lameness in dogs, and can metastasize to other sites. Osteosarcoma occurs more frequently in middle-aged to older dogs. Tumors of mammary glands are the most common tumors in dogs, especially among un-spayed females. Malignant mammary tumors are mostly carcinomas (e.g. tubular adenocarcinomas) but they can sometimes be osteosarcomas or fibrosarcomas. Spaying a dog before her first heat cycle (around 6 months of age) can significantly reduce her chance of getting breast cancer. Besides the above more common types of cancer in dogs, there are some relatively rare types of dog cancer. But these types of cancer are nonetheless life-threatening. The most common form of dog bladder cancer is a malignant cancer tumor called transitional cell carcinoma (TCC). TCC is fairly aggressive and can spread to other sites of the body, such as the lungs, the bones, or the lymph nodes near the bladder. Bladder cancer in dogs is not very common (about 2% of all dog cancers). The most common primary malignant liver tumor is hepatocellular carcinoma which is locally invasive but rarely metastasize. Primary liver cancer is not common (less than 1.5% of all dog cancers), and tends to occur in older dogs. The most common primary lung tumors are malignant carcinomas (often adenocarnimas), although they can be hemangiosarcomas. Primary lung cancer is rare but deadly. The tumors are very aggressive and usually will have already spread to other parts of the body by the time they are diagnosed. Primary lung cancer tends to occur in older dogs. The most common form of pancreatic tumors is adenocarcinoma which is malignant and aggressive. These tumors are locally invasive and can metastasize to other sites in the body. Pancreatic cancer in dogs is uncommon (less than 0.5% of all canine cancers) and occurs more frequently in older dogs. Dog stomach cancer is most frequently caused by adenocarcinoma which is aggressive and can frequently spread to lymph nodes, the liver and the lungs. Canine stomach cancer is rather rare (about 0.1% of all cancers in dogs). The most common type of dog prostate cancer is carcinoma (such as prostatic adenocarcinoma), which is a highly aggressive and invasive form of cancer. It can metastasize rapidly to other sites in the body, such as the lymph nodes, bones and lungs. Prostate cancer is not common in dogs (about 0.2 to 0.6% of all canine cancers), but it is an aggressive form of cancer and is often fatal. Canine prostate cancer is not influenced by testosterone and as such it can affect both neutered and intact male dogs. The most frequently occurring nasal tumor in dogs is squamous cell carcinoma (SCC), although fibrosarcoma and many others can also occur. Both carcinomas and sarcomas are locally invasive and can invade vital surrounding structures such as the throat. Some tumors also metastasize to more distant areas of the body. Canine nasal tumors are not very common (about 1% of all tumors in dogs). Older dogs are more prone to nasal cancer. The most common form of canine leukemia is lymphocytic leukemia which can be acute or chronic. Both the acute and chronic stages of lymphocytic leukemia are rare in dogs. Acute leukemia usually affects middle-aged dogs or older (6 years or older), while chronic leukemia occurs more frequently in older dogs (10-12 years of age). 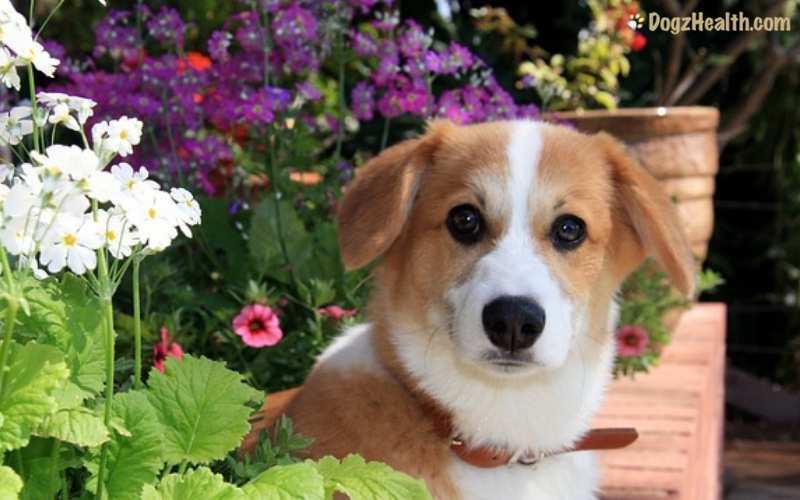 Generally speaking, mixed breed dogs are less prone to cancers than purebred dogs.